Returning to Silverstone, the scene of some of his best past results, Devlin DeFrancesco gained more invaluable experience in one of the most highly regarded junior categories this weekend. With only one weekend of running in the MP Motorsport GP3 car under his belt, the Canadian-Italian still had plenty of learning to do. However, relishing the challenge ahead of him, Devlin showed strong pace in the Friday’s practice sessions and had high hopes what he and the team could deliver around the iconic ‘Home of British Motorsport’. Boosted by this good start to the weekend, DeFrancesco headed into Friday’s qualifying eager to show his true pace after being blighted by a red flag in the previous round. It was another extremely close session, with the top twelve separated by less than a second. Within the MP Motorsport team, it was nip and tuck between the drivers, with Devlin beating team-mate Niko Kari to start the feature race from the mid-field pack. With England in the midst of it’s longest heatwave for 5 years, the track was uncharacteristically hot and sunny as the young pack gridded ahead of the weekends first race. As the lights went out, Devlin struggled with his clutch slightly loosing a few positions at the start. However not letting this minor setback effect him, the young racer set about chasing down the field. The 20 lap race was plagued by chaos with several Virtual as well as one full Safety Car, however keeping his nose clean throughout payed dividends, promoting Devlin several places. Settling into a rhythm in the latter stages of the race, the young Canadian-Italian showed a consistently strong pace. Putting himself in the fight for the points in Sunday’s race crossing the line in 15th. Eager to put on a good show for the dedicated fans who had ventured out for the earliest race of the season, Devlin took his place on the grid bright eyed and bushy tailed. Once more, an abundance of retirements spiced things up for the drivers, but Devlin kept out of trouble and drove a solid, clean race. Crossing the line in fourteenth, a mere second off twelfth place. 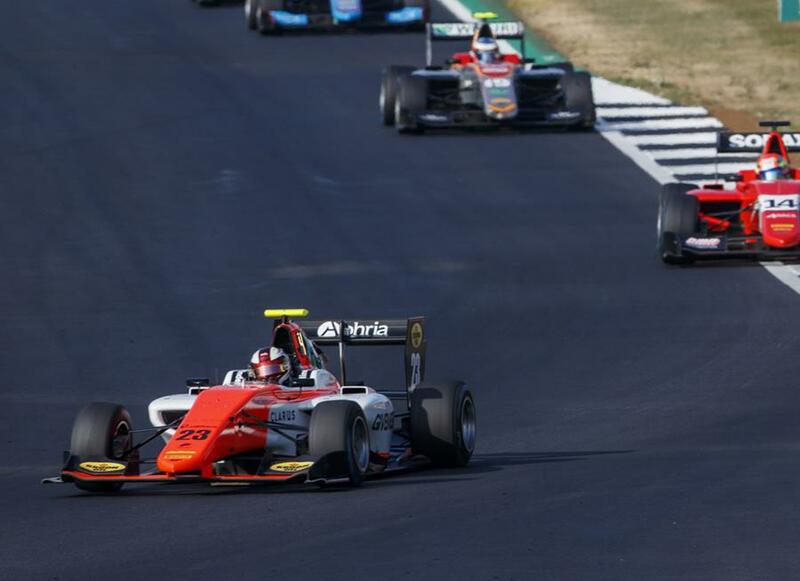 The series now takes a break after the intense triple-header before heading to Budapest for the race at the Hungaroring from the 27th-29th of July, where Devlin will be looking to take another step forward.